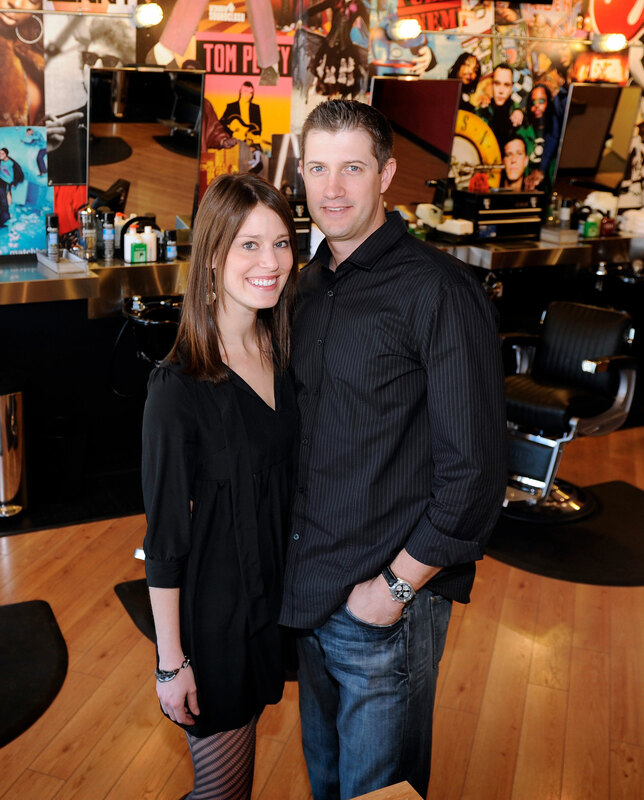 Kyle and Sarah Sleeth were entrepreneurs in search of a cause. When Kyle’s professional baseball career as a pitcher with the Detroit Tigers ended in 2008 due to an injury, the couple knew they wanted to have their own business. But they also wanted to have an even bigger purpose. “We were interested in providing a great service to our customers, creating a great work environment, and impacting the community where we operated,” says Sarah. The couple chose Floyd’s 99 Barbershop, a national franchise for men & women that offers an alternative twist on an old school classic. They were drawn to the brand’s authentic vibe and commitment to a client-first approach. Today, the Sleeths operate six Floyd’s 99 shops in central Florida and have three more shops in development. They provide great jobs and employee benefits. “Across our six central Florida shops we have 130 employees and offer health, dental, and vision coverage; life insurance; accrued paid time off; and free hair education,” she says. And their compassionate spirit goes beyond their shops and out into the community. When the Pulse nightclub shooting happened in 2016, the Sleeths lost 17 clients. 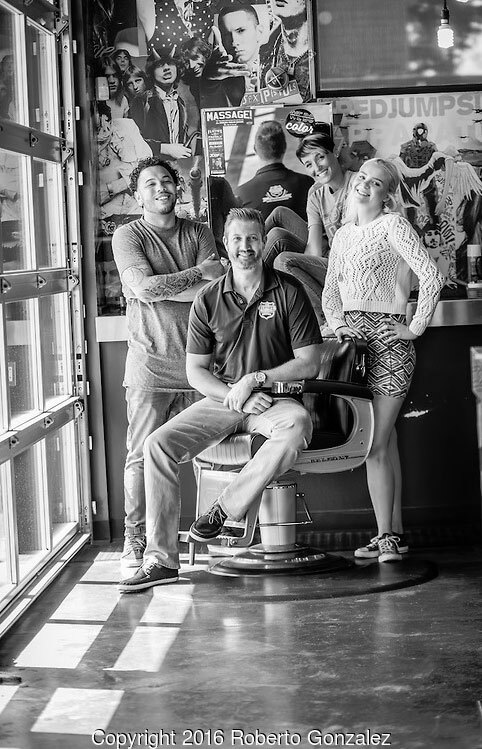 “When you’re in the hair grooming space, you’re really part hair stylist, part therapist – especially given the community nature of Floyd’s 99,” says Sarah. In the aftermath, the Sleeths gave their employees and the community a space to talk about what happened and assist in the healing process. Together, they also raised more than $70,000 for OneOrlando, a local non-profit organization that supported Pulse victims’ families and survivors. Only a month after the Pulse shooting, one of their barbers suddenly passed away leaving behind a young daughter. The Sleeths adopted the employee’s family and raised funds to help support them. They also began providing life insurance to all their employees. “Those immediate months were especially hard for everyone, but they stayed focused on taking care of each other and anyone that walked through our doors,” says Sarah. Their community is like a family to the Sleeths. “We’re very grassroots, so you can find us frequently at local community events, partaking in the festivities and giving out swag or coupons,” she says. The Sleeth’s latest community activity involves the creation of a Jonas Never mural right outside one of their shops. Jonas Never is a famous LA muralist who has painted murals outside a majority of Floyd’s 99 locations nationwide. “Over the next few weeks, he’s painting a large Freddie Mercury mural right outside our Floyd’s 99 shop on Mills Avenue (near Pulse nightclub) and a Mr. Rogers mural outside our Winter Park shop - across the street from where Fred Rogers attended college. The murals are going to be amazing – we can’t wait to show the community,” she says. Sarah believes that she and Kyle have been successful at Floyd’s 99 because the brand offers a great product, a proven system, and fantastic support. But she’s also bullish on the kind of culture she and Kyle have created. She says it all boils down to happy employees who create happy clients. That’s why, she says, they make sure each shop is characterized by a positive, fun environment that provides employees a sense of empowerment and a chance to flourish. 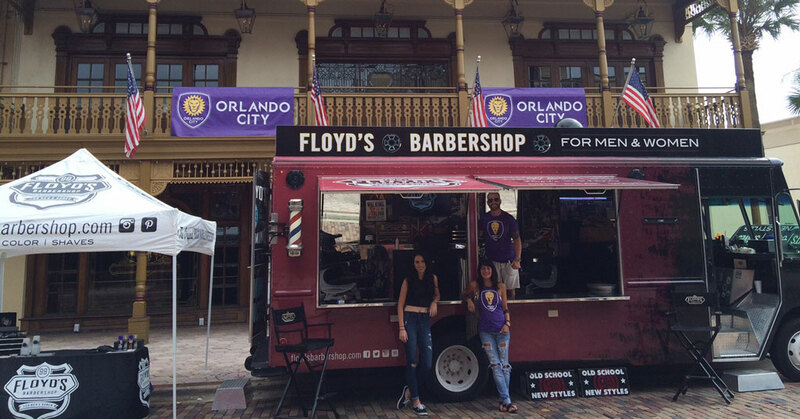 If Floyd’s 99 Barbershop sounds like the right investment opportunity for you, visit www.floydsbarbershop.com/FRANCHISE/ or contact Scott at scott.n@floydsbarbershop.com.